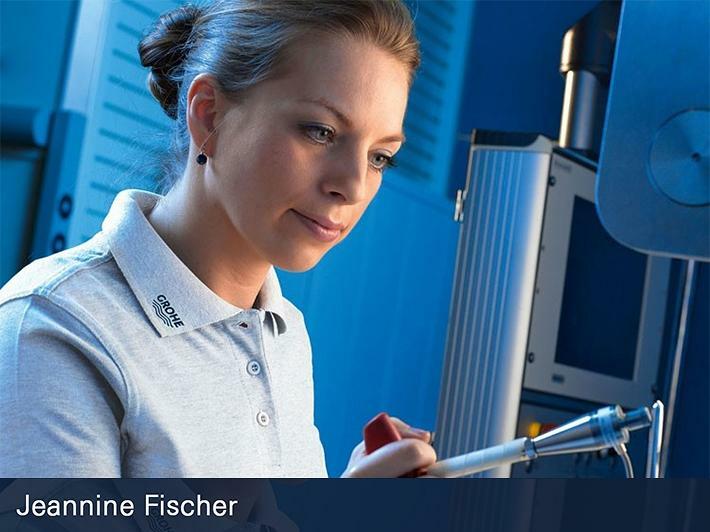 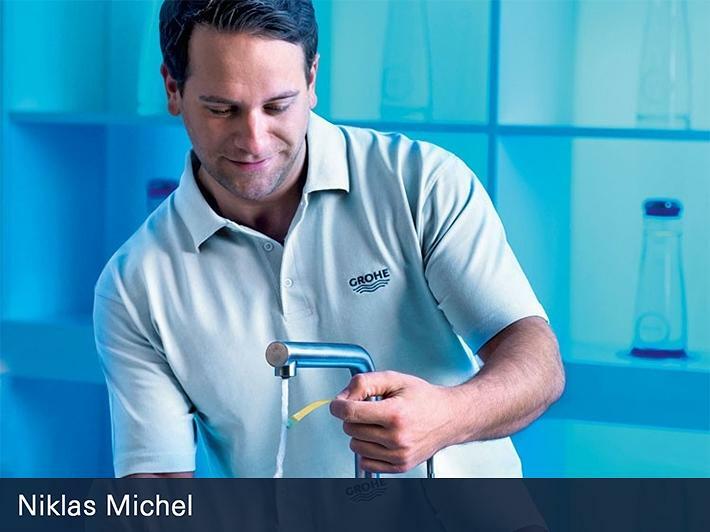 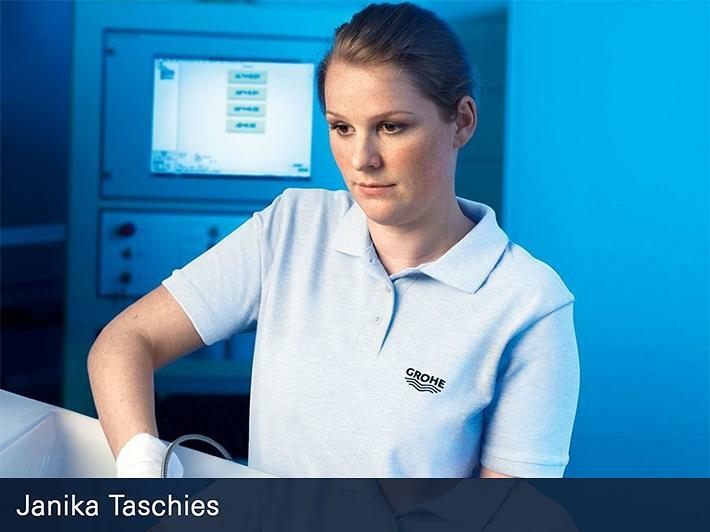 ... Master of Technology, produces unbeatable hardwearing taps surfaces with GROHE StarLight®. 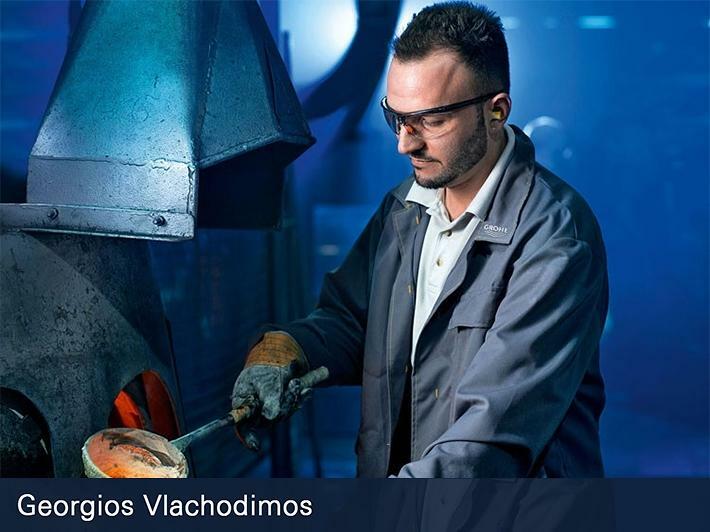 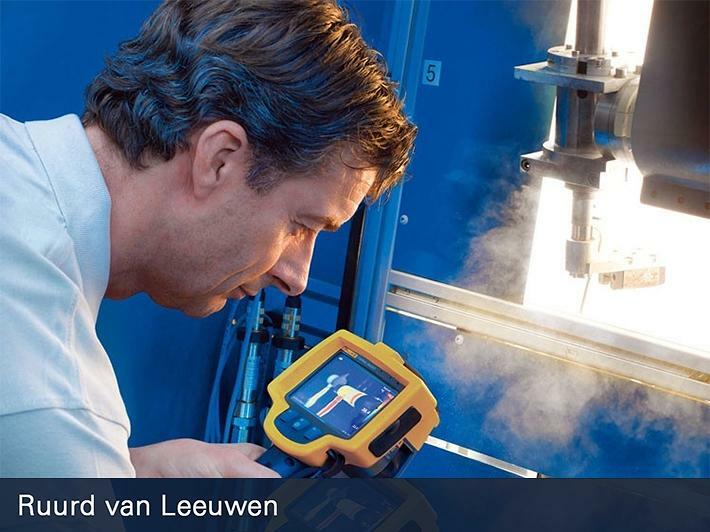 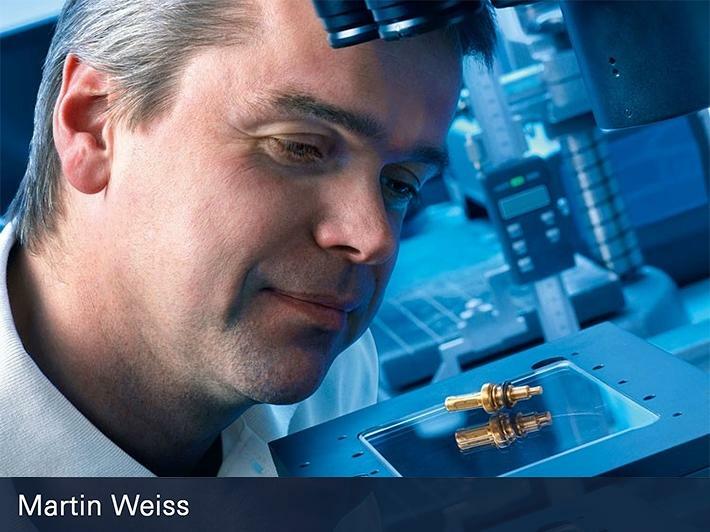 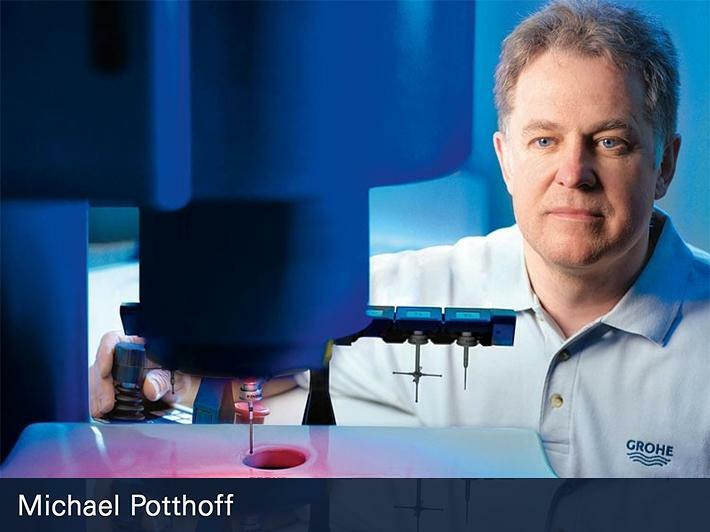 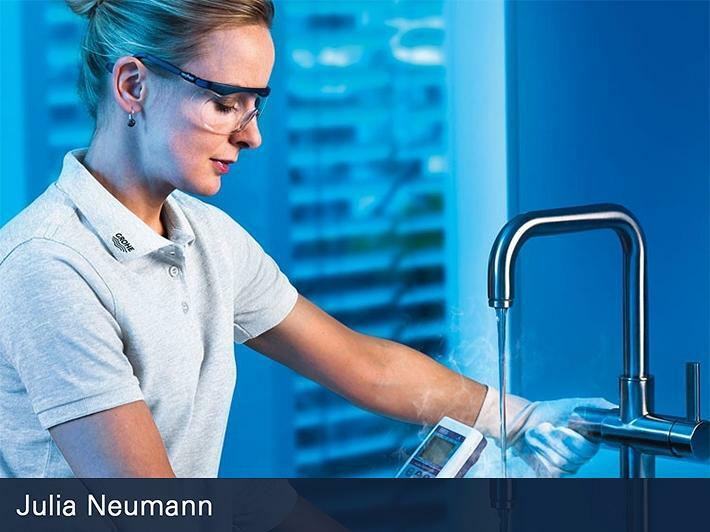 ... Master of Technology, measures the GROHE Red®’s water, which is heated to 100 °C in an instant. 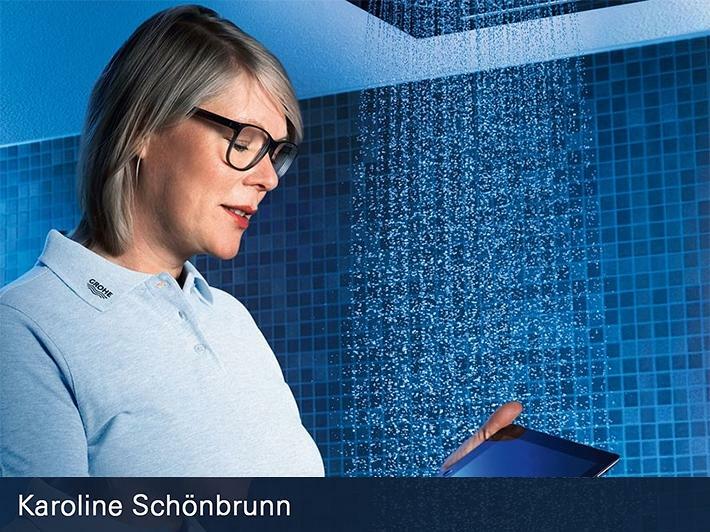 The GROHE CoolTouch® technology ensures the surface is never too hot to handle. 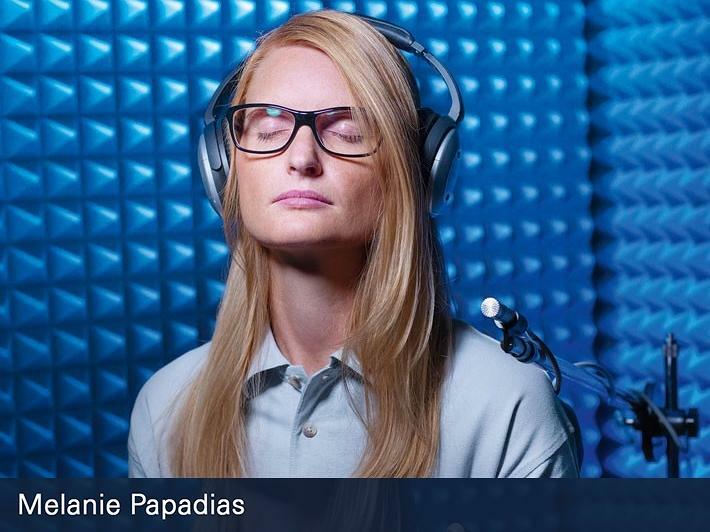 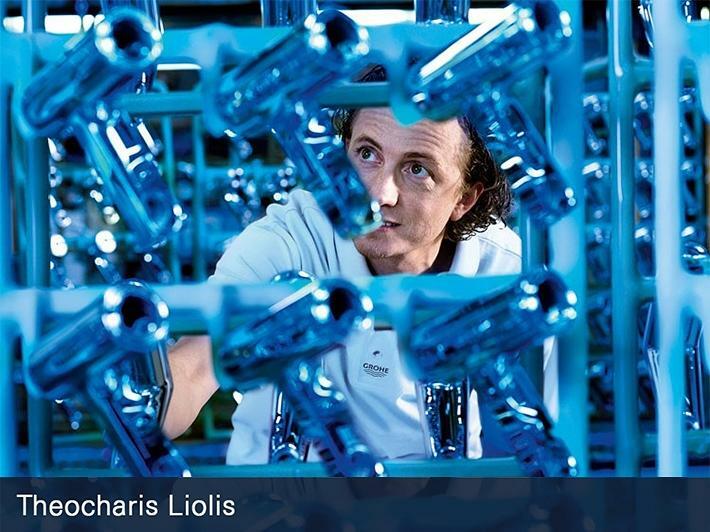 ... Master of Technology, tests and adjusts the water hardness of GROHE Blue® for filtered, chilled and sparkling water straight from the taps. 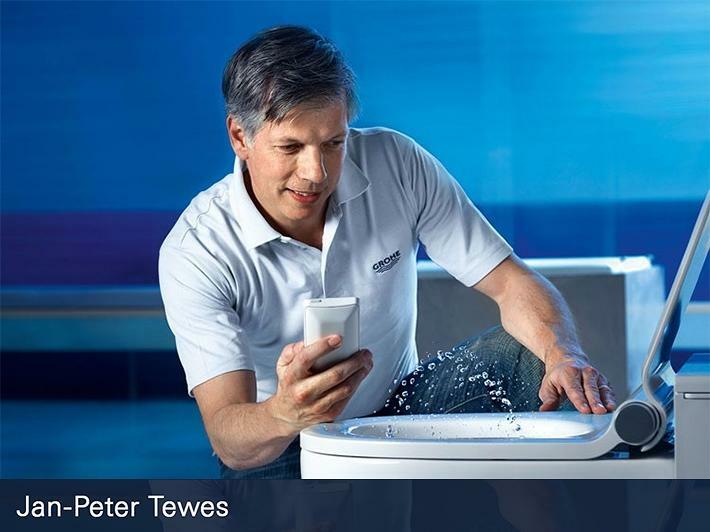 ... Master of Technology, uses a 3-D measuring table to ensure that ceramic sanitary ware and taps fit together perfectly.